Here I go again. About two years ago I started writing a series of blog posts about my hands-on experience with newly released VNXe 3300. At that time the VNXe 3300 was just released and there wasn’t that much documentation out there. So I did lots of testing and had to make my own “best practices”. The previous blog series is one of the reasons why I now have a chance to test and write about the VNXe 3200. 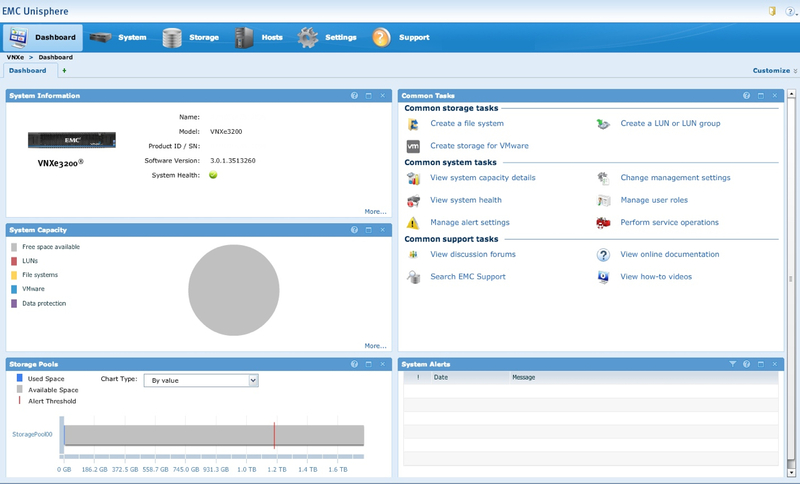 More details about the new features on EMC VNXe Series website. There have been several new versions of the VNXe OE since my first VNXe blog post but the “Unisphere Configuration Wizard” still looks similar. Going through the wizard takes about 10 minutes but I skipped most of the configurations as usual. I prefer to upgrade the VNXe to the latest software version before I do any configurations to new devices. 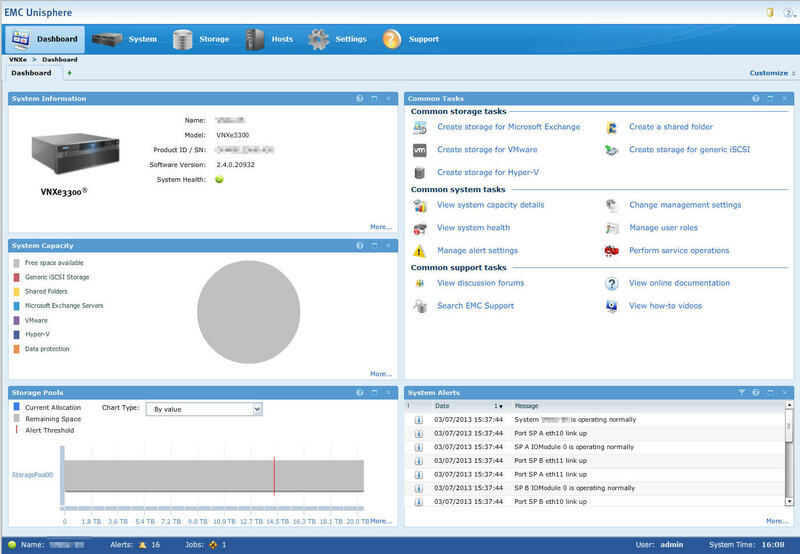 After the configuration wizard is completed you will get a popup and you will be directed to the EMC support website where the latest version can be downloaded. Even though there is totally new hardware running under the hood Unisphere still looks and feels the same as on the latest software vesion on VNXe 3100/3150/3300. 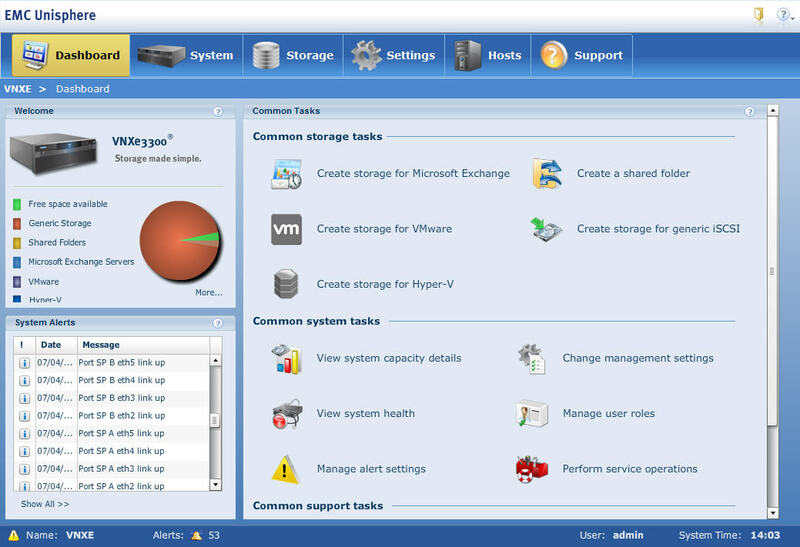 I still agree that VNXe is simple to install and configure. Of course I haven’t configured any storage pools or iscsi servers yet. I’ll cover those on the next posts. Also performance and some of the new features will be reviewed later. Once again it’s time for EMC World; new product releases, breakout sessions, labs, networking, wandering around the show floor and of course some fun too. 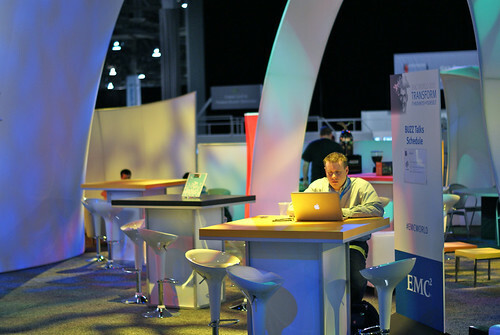 Breakout sessions will be recorded and those can be accessed after the conference but at least most of the hands-on labs are created just for the EMC World. So take an advantage of the ease of testing and evaluating EMC products in an isolated environment without needing to worry about messing up anything. It’s a really good opportunity to get hands on experience and see how things really work. Here is the list of available labs. Bolded ones are the ones that I’ll try to take, that’ll be about 11 hours of lab time. Labs are running on VCE Vblock architecture based infrastructure at EMC North Carolina data center. The storage used to serve the content is VNX and XtremeIO and of course to make it all work together vSphere 5.1 & vCD are also utilized. There will be two screens at the front of the HOL where the live performance of the environment can be monitored. There will also be product specialists demoing and answering questions about the HOL cloud infrastructure. 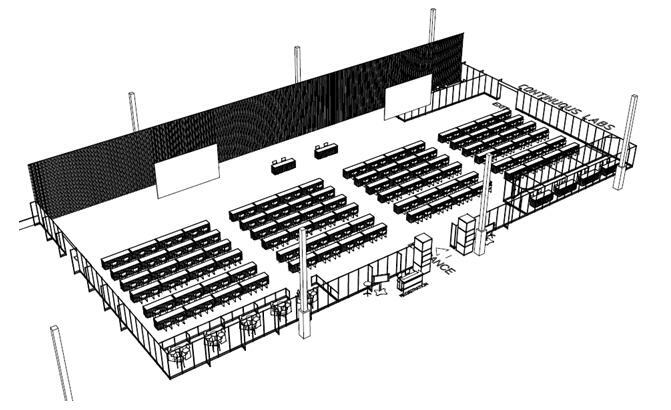 There will be 200 seats for HOL attendees. 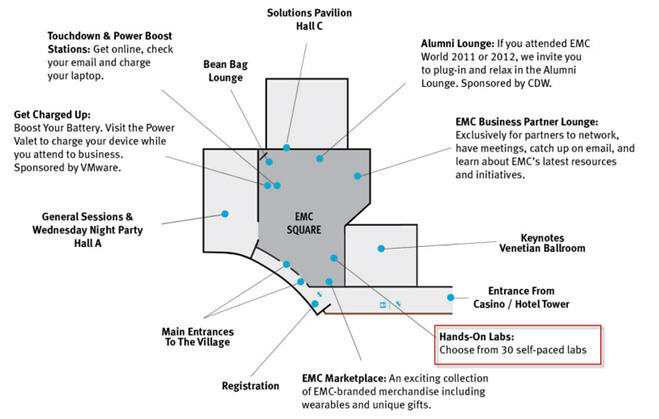 The labs are located on the right hand side of the EMC Village (2nd floor of the Sands Expo Hall). Once again I had a chance to play around with some shiny new hardware. And once again the hardware was VNXe 3300 but this time it was something that I hadn’t seen before: 2.5” form factor with 46 600GB 10k disks. If you have read about the new RAID configurations in OE 2.4.0 you might figure out what kind of configuration I have in my mind with this HW. In this post I will go through some of the new features introduced in VNXe OE 2.4.0, do some configuration comparisons between 3.5” and 2.5” form factors and also between VNXe and VNX. Of course I had to do some performance testing as well with the new RAID configurations so I will introduce the results later in this post. 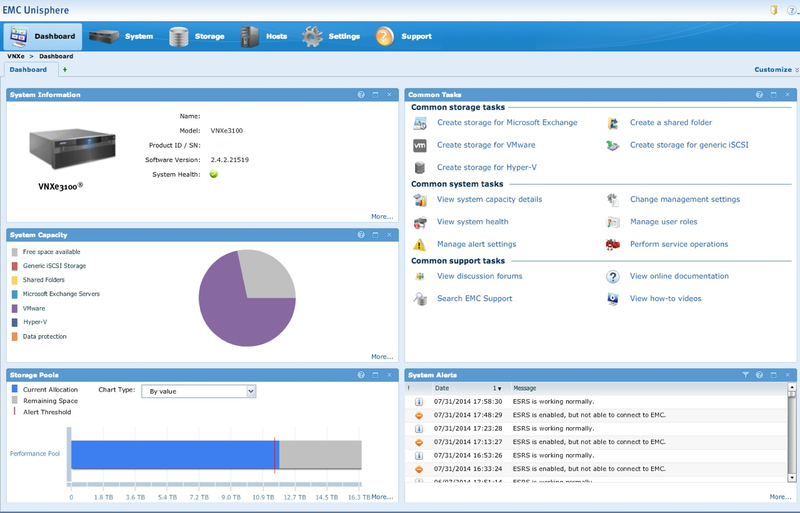 Along with the new OE came the ability to customize UI dashboard. 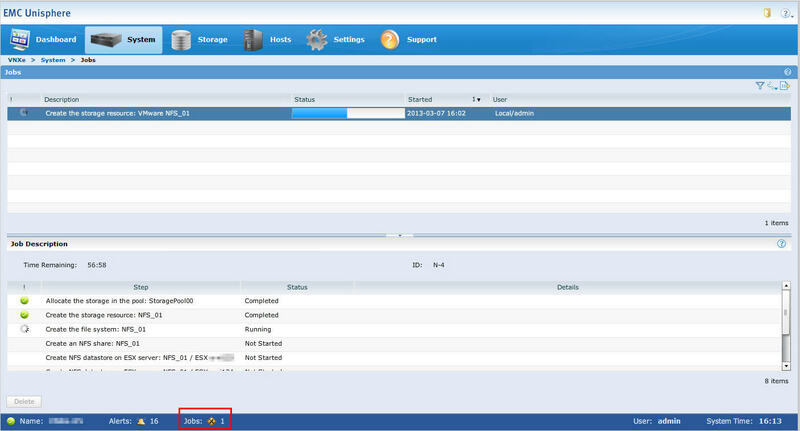 The look of the Unisphere UI on new or upgraded VNXe is now similar to Unisphere Remote. You can customize the dashboard and also create new tabs and add desired view blocks to the tabs. Some of the operations are now added as background jobs and you don’t have to wait that the operation is finished. Steps of the operations are also more detailed when viewed from the jobs page. Number of active jobs is also shown next to the alerts on the status bar dependent on what page are you on. Now this is one of the enhancements that I’ve been waiting for because VNXe can only utilize four RAID groups in a pool. So with the previous OE this would mean that datastore in 6+1 RAID 5 pool could only utilize 28 disks. Now with the 10+1 RAID 5 pool structure datastores can utilize as many as 44 disks. This also means increased max iops per datastore. 3.5” form factor 15k disk RAID 5 pool max iops is increased from ~4900 to ~7700 and with 2.5” form factor 10k disk RAID 5 pool max iops is increased from ~3500 to ~5500. 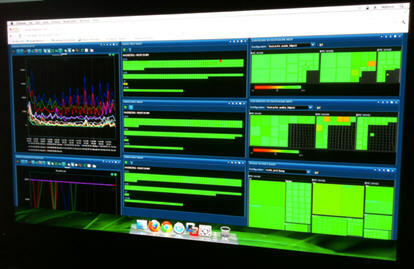 Iops is not the only thing to be looked at. Size of the pool matters too and not to forget the rack space that the VNXe will use. 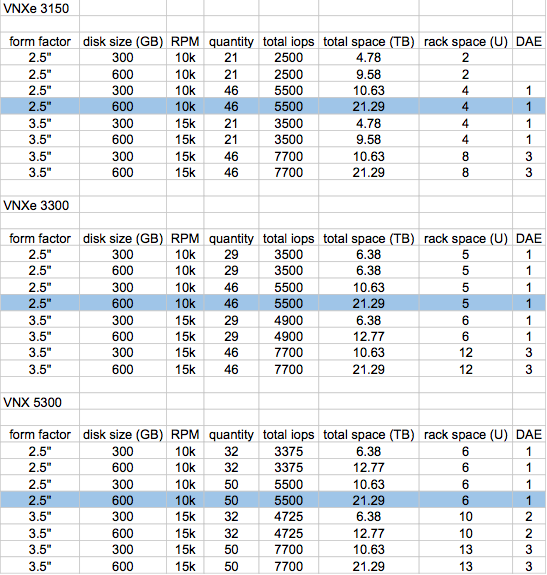 While I was sizing the last VNXe that we ordered I made this comparison chart to compare the pool size, iops and rack space with different disk form factors in VNX and VNXe. Interesting setup with the VNXe 3150 and 2.5” form factor disks is the 21TB and 5500 iops packed in 4U rack space. 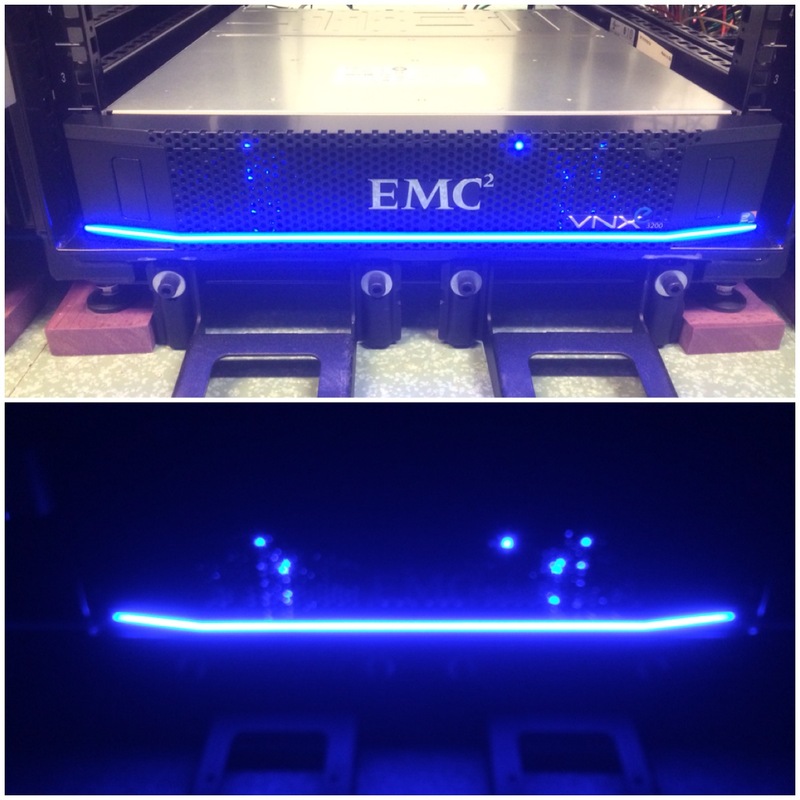 VNXe 3300 with same specs would take 5U space and VNX5300 would take 6U space. Of course the SP performance is a bit different between these arrays but so is the price. I’ve already posted some performance test results from VNX 3100 and 3300 so I added those results to the charts for comparison. I’ve also ran some tests on VNX 5300 that I haven’t posted yet and also added those results on the charts. There is a significant difference in the max throughput between 1G and 10G modules on VNXe. Then again the real life test results are quite similar. These results reflect the performance of the environment that the tests were ran in. 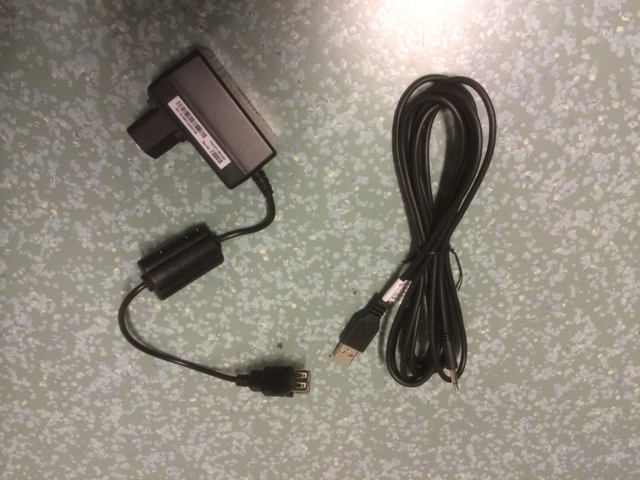 Results may vary depending on the hardware and how the environment is configured. Some of you might have noticed that lately I haven’t been as active on social media as I have before. There is couple of reasons for that. One busy factor that’s not listed on the subject has been my involvement in the VNX implementation project that has taken lot of my time. The goal of that project was to replace CX/MirrorView/SRM with VNX/RecoverPoint/SRM and it didn’t go that smoothly. The project is now finalized and everything worked out in the end. I learned a lot during the project and I have some good ideas for blog posts for the future i.e. RecoverPoint journal sizing. 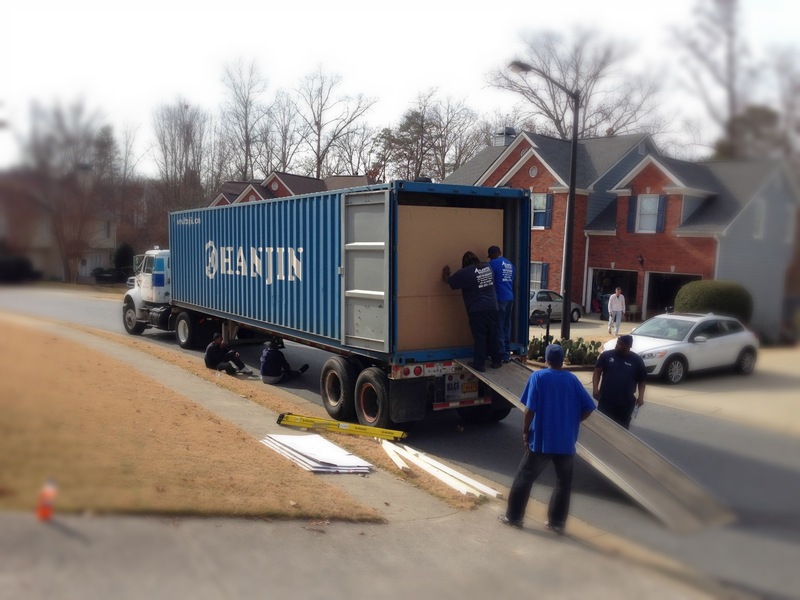 In February 2008 my wife and I packed everything that we had, sold our condo in Finland and moved to Atlanta because of my internal transfer. 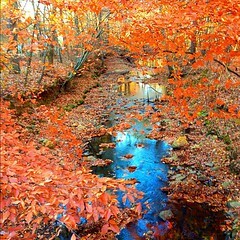 We moved to the Atlanta suburbs and really didn’t know that many people around there. The initial plan was to stay for two years and then come back home. Well, those two years became almost five years. During that time we got very close with our neighbors and got to know lots of other great people from the same neighborhood. It was our home and we felt like we belonged to the community. The most amazing two things that happened during that time were the births of our children. It was hard to be so far from “home” and family in the beginning. We saw family once a year when we visited Finland and almost all closest family members visited us at least once. We enjoyed our time in the US but then came the time to move back to Finland. Once again everything we had was packed to a container and shipped to Finland. I had mixed feelings about the move. 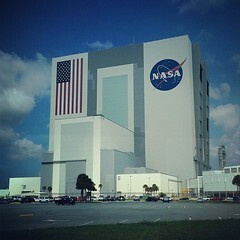 I was excited to go back “home” but then again I was sad to leave so many good friends behind. 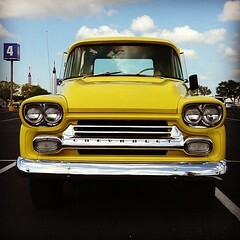 Driving to the Atlanta airport one last time wasn’t easy at all. All the good memories rushed through my mind. 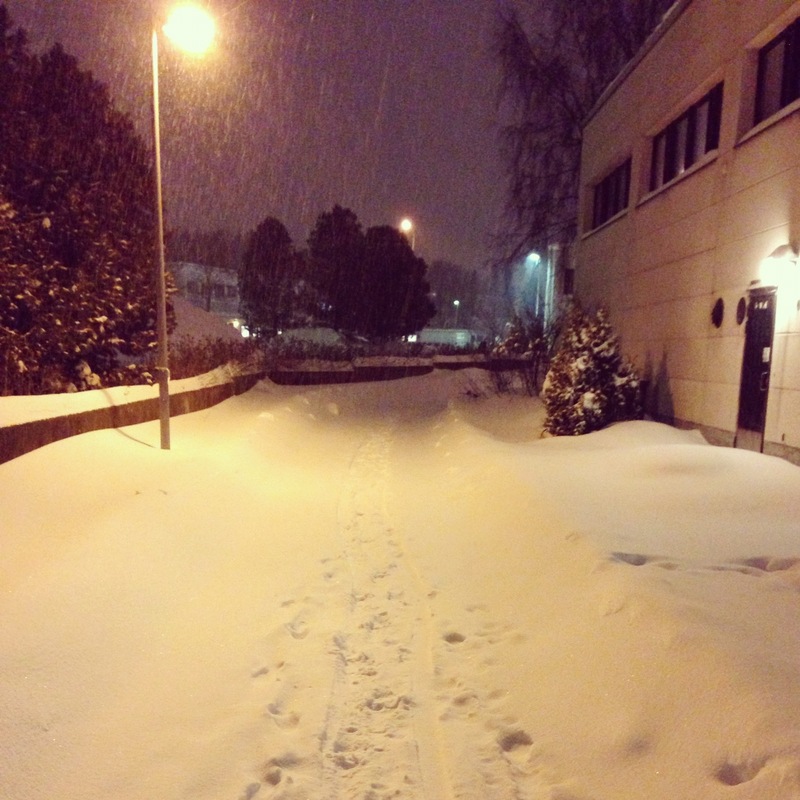 It was mid December 2012 and we moved back to Finland to the snow and coldness. This spring I’ve been with the current company for 9 years. About right after I joined the company I started my virtualization journey with GSX and then with ESX 2.0. From that point on my main focus has been on virtualization and storage. 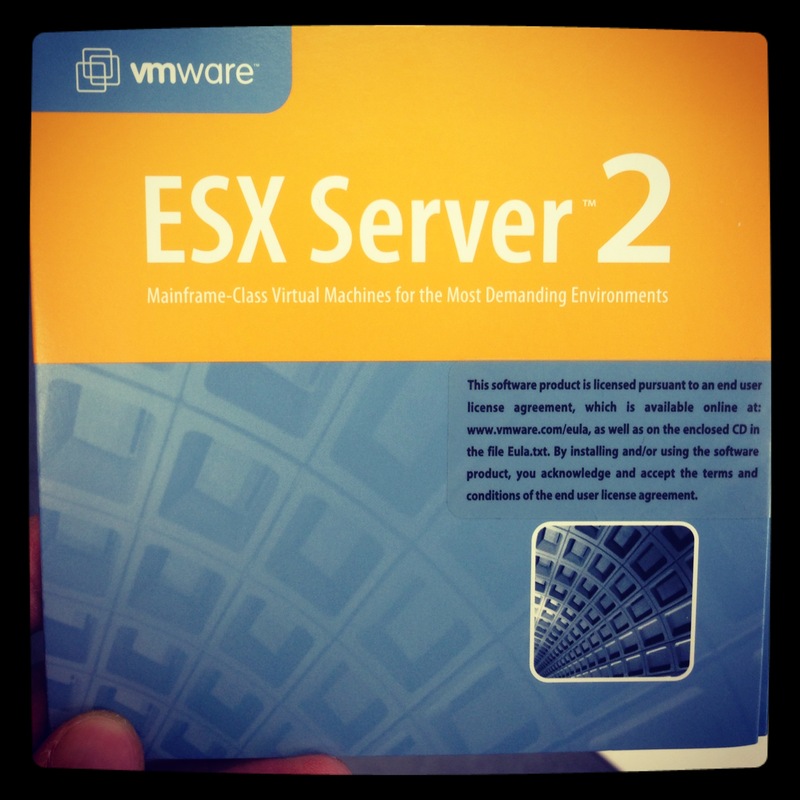 I’ve been working as an architect and been involved in getting the ESX from version 2 to 5 and also implementing new features as those have been announced i.e. SRM and View. I’ve also got my hands dirty when implementing EMC CX300, upgrading it to CX3-40C and replacing it with CX4-120 and CX4-240. As from my VNXe post you might have noticed that I’ve done some work with those too. And of course now with the latest project I had also a chance to get some hands-on experience with VNX and RecoverPoint. In my new role I’ll be managing a team which is responsible for developing and maintaining the company’s whole infrastructure including virtualization, networking, storage, Windows/Linux servers and so forth. This is the same team that I’ve been a part of in the past years. I’m looking forward for the new challenges that the new role brings to my desk and don’t worry, I’ll still be involved with the technical stuff and will continue blogging about virtualization and storage. There might be some 2.5” form-factor VNXe and VNX/RecoverPoint posts coming out soon. Thank you, all my followers, for the year 2012 and I hope this year is going to be even better. I’m happy to see that my posts in the past year have been helpful. Two months ago EMC Elect – community driven brand recognition program – and its ten first “founding” members were introduced. The idea of the program is similar to Microsoft MVP and VMware vExpert programs. Two of the masterminds behind this program are Matthew Brender and Mark Browne. Here is Matthew’s short summary about the program. Today EMC announced the first 75 community members that were selected to the EMC Elect 2013 program by their contributions in the past year. I’m very honored to be one of those 75 top contributors that were selected. Thanks to all my followers and other community members! Here is the official list of all members: The EMC Elect of 2013 – Official Directory. In my previous post covering the VNXe hidden statistics I explained where to find the “hidden” statistics files and how to extract the data into usable format. 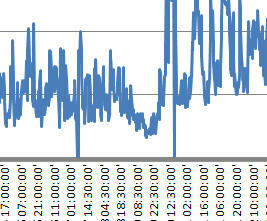 Now it seems that EMC has changed the statistics gathering interval from 5 minutes to 30 minutes. I started playing around with the new data and created a spreadsheet template that generates graphs for IOps and MB/s for the past 2 months, 1 month, 2 weeks, 1 week and 24 hours. In this post I will share the template and also explain how to use it. Export data from those files to stats_basic_summary.txt and old.stats_basic_summary.txt files. Sometimes VNXe seems to fail updating the statistics to the database and only zeros are added. 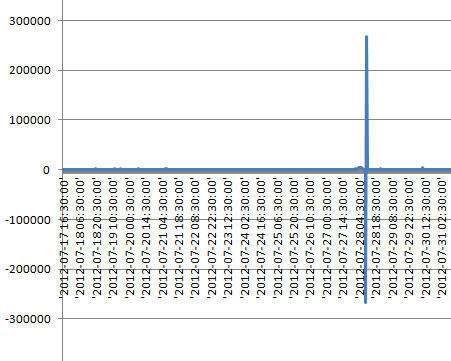 When using the data without taking the zeros out it will produce graphs as shown above. Rows 43-2772 on the imported sheets are used for the statistics and it is important to find all zero rows to get the graphs working properly. Data from the previous row should be copied to replace the zeros from column D onward. All the statistics values seem to be running numbers and for the graphs the latter value is deducted from the previous value. So replacing the zeros with the value from previous row will make the particular timestamp to be zero on the graph. After all the zeros are replaced in most cases the statistics and graphs will show the correct values. If the statistics and graphs are still not showing the correct values after removing the zeros from the data the issue might be that the performance counters were reset during the data gathering period. When this happens there might be a row of zeros before the reset. To fix this the zero row should be replaced as described above and the row below the zeros should be deleted. This method for gathering and presenting the statistics is not approved or confirmed by EMC. This is something I have found and it seems to work in the environments I work with. So the statistics might not be accurate. The past couple of conferences that I’ve attended I’ve spent more time on social networking than in the sessions. Nowadays that most of the sessions are recorded it is possible to watch those afterwards whenever you have some spare time. So my focus on this year’s EMC world was to get into some interesting HOLs as I described in my previous post and also to talk with vendors, other attendees and bloggers. And actually the contacts that I made in the last year’s EMC world eventually lead to getting me in to this year’s EMC world. I spent some of my time at the EMC online booth talking to people about the ECN and also answering questions about VNXe. I met many people who had not registered to ECN. I asked them do they have any issues or problems in their environments and everyone answered yes. I then asked how do they usually solve the issue and mostly all answered that they resolve those themselves and some said that they contact the support. Now this is where social networking comes in handy. Why not ask someone else, maybe somebody has also solved the same issue that you are having. So ask a question on Twitter or post a question to ECN and you might get an answer sooner than you thought. Who did I meet then? One of the best conversations during the EMC World I had was with Dynamox, one of the top ECN contributors. This was the first time that we met face to face, even though we live just across the city from each other. We talked about VNXe, VNX, CLARiiON, our environments and implementations, issues that we were facing with those, social networking and ECN. And the whole conversation took place next to a slot machine – only in Vegas. We met a couple of times during the conference and we were also on the same flight back home so we continued our conversations throughout the week. 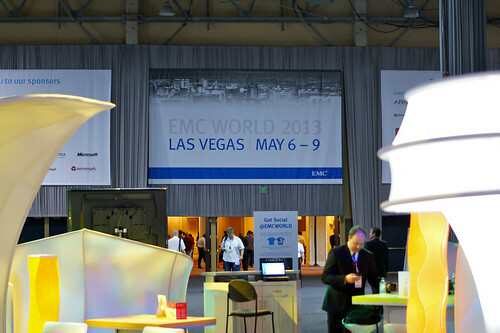 So during the EMC World I met some great people, some that I already knew and some that I didn’t. I hope we can keep in touch and maybe we’ll see in VMworld or maybe the next EMC World.